IMPORTANT NOTICE: My email address is timthomas2@gmail.com and my cell number is 740-704-1487. John 15-13 Greater love has no man than this that he lay down His life for His friends! 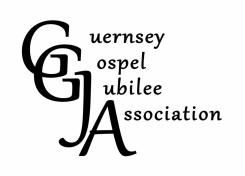 I know it has been some time since the Guernsey Gospel Jubilee Association has released any new information. We (the board) have purposely withheld what is in store for the 2019 year. First of all I want to say thanks to the men and women who tirelessly work each spring and fall to put on a great sing. Next I want to say how it was a hard decision to cancel this past spring event and it wasn't easy making the decision of discontinuing theNew Years event. It has been the goal of the GGJA to produce the finest sings that we can develop. Just 4 years ago I was asked to take over the leadership of the GGJA and it was not a hard decision to ask my best friends Jay and Lisa Henderson to work with me as leadership. In the first year we made many changes but those changes helped us to trim the costs of the sing and present some of the best gospel singers in the state and region. With all of this said this past year we have seen growth in our attendance and we recognize the need to improve the location of our event. After searching the region for a place to move the sing we as a board decided the best move for us is the Cambridge City Park Pavilion! The pavilion is located at 1203 N 8th St, Cambridge, OH 43725 and has plenty of parking as well as bathrooms and even a food distribution booth to help us provide a greater variety of food for the event. We will continue to provide sound through Vibe Sound in the capable hands of Joe & Janelle Phipps. I believe the comfort and easy accessibility to seating is a win for us. It will also take less time to put together. The second change for 2019 we will only be providing our event on Saturday. Our dates are set for Saturday June 8th 2019, Saturday September 21st and the 28th 2019. We booked our first group for June this past week and Blood Bought signed on for June. Just to recap our big changes for 2019, the GGJA is moving to the Cambridge City Park Pavilion, about 4 miles from Spring Valley Campground and we will hold our events only on Saturday this year. If you have any questions about our coming year please contact Tim Thomas at timthomas2@gmail.com with your questions.